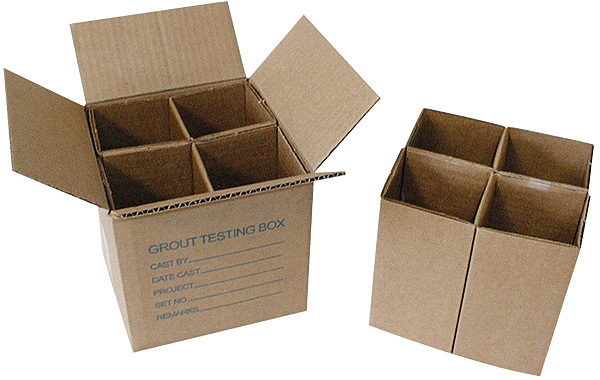 This grout sample box is an alternative method that follows the guidelines to ASTM C-1019/UBC21-18 and will save you money, time, labor, and space. Engineered-slotted corrugation retains moisture while simulating CMU absorption rate. Each box produces 4 specimens, 3 1/4" x 3 1/4" x 6 1/2". Shipped 25 boxes per carton.